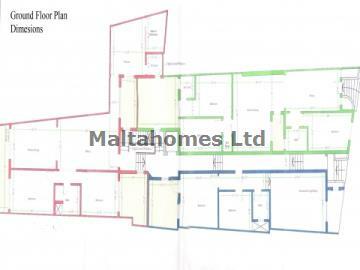 Opportunity to acquire a maisonette in shell form within a new building development, situated in a tranquil Village Street close to Naxxar Centre. A total finishing quote can be provided with cost relative to your specific finishing taste. There are also 2&3 bedroom Apartments and an assortment of 1,2 & 3 car garages also available at this development. Please Note: As per plans provided the Maisonette Property is outlined in Green. For dimensions contact 'MaltaHomes' plans available.